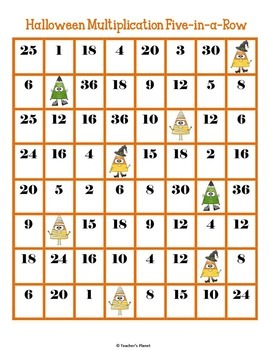 FREE Halloween Multiplication Game- 5-in-a-Row! 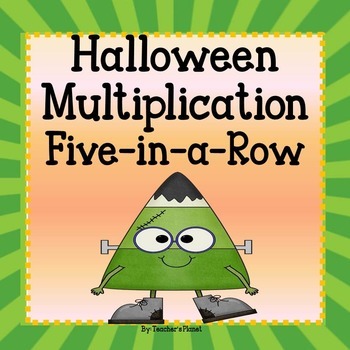 Halloween Multiplication 5-in-a-Row is a fun way to learn multiplication facts. Students take turns rolling 2 dice and multiplying the numbers together to find the product. 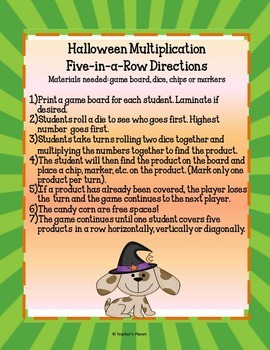 Students find the product on the Halloween 5-in-a-Row board. The candy corns are free spaces! The first student who covers five numbers in a row either horizontally, vertically or diagonally wins! Factor Find - A fun way to learn factors! Measurement War Bundle- Length, Capacity and Weight!